As part of the project “Education for Democracy and Culture of Dialogue”, the expert team of Adult Education Society, with financial support of German Adult Education Association (dvv international), developed a Manual on Communication and Conflict Resolution. This Manual can be used as a guide for realization of the workshops from the manual as well as the overview of theoretical teaching of these issues. Author: Katarina Popović. Belgrade, 2010. The book “Development of the Curriculum in Vocational Education” is comprehensive overview of the various theories, approaches and models in curriculum development in vocational education. The author gives the comprehensive overview of theoretical approaches in curriculum development up to the last decades of 20th century. This publication explain possibilities of establishing functional connections between competencies gained through process of formal education and on the job. This publication has a double role from one hand it’s aim to present the practical aspect of described findings, and from another hand the author call readers to critically think about given information and try to find their position with regard to curriculum development theories. Belgrade, 2010. 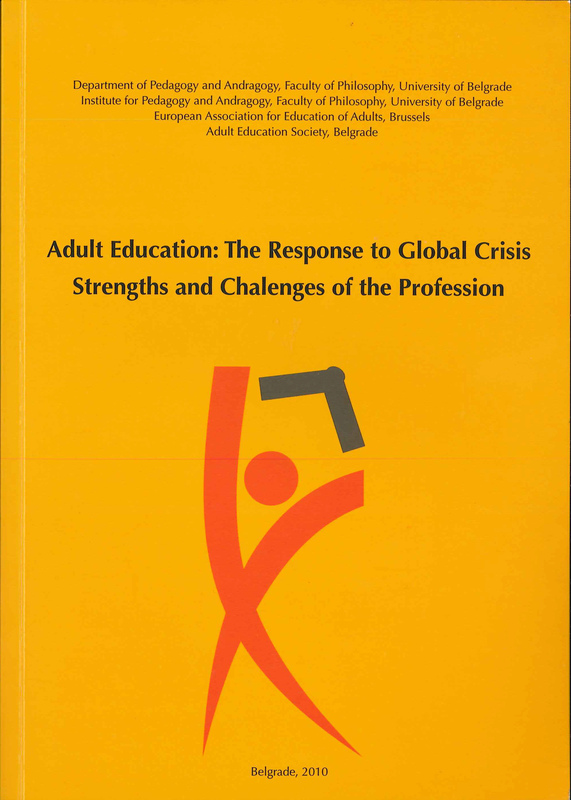 Publication “Adult Education: Response to Global Crisis – Strengths and Challenges of the Profession” is conference proceedings of the international conference dedicated to professional identity and professional development of andragogists. 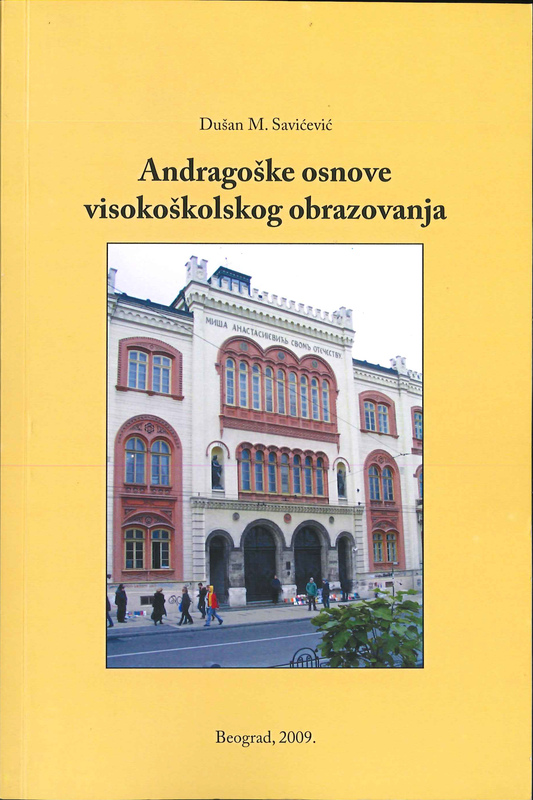 Conference was organized, in November 2009, by Adult Education Society, Chair of Andragogy and Institute for Pedagogy and Andragogy of Faculty of Philosophy, University of Belgrade, on the occasion of the 30th anniversary of the Chair and 25th anniversary of the Institute. Editors: Snežana Medić, Regina Ebner and Katarina Popović. Belgrade, 2010. Publication is available in English language. 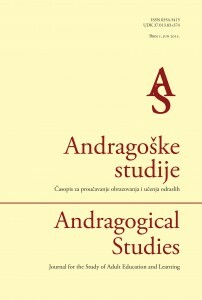 In the study “Andragogical Base of Higher Education”, the problems of higher education are taken in consideration from the perspective of andragogy. The author perceives higher education as part of the diverse area of adult education. Author: Dušan M. Savićević. Belgrade, 2009. 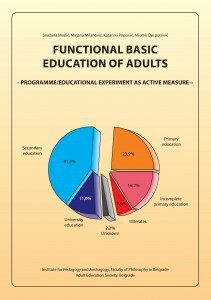 Book “Functional Basic Education of Adults – Programme/Educational Experiment as Active Measure”. was written after the pilot project “Functional Basic Education of Roma” which highlighted problems in Functional Basic Education (FBE) in Serbia. 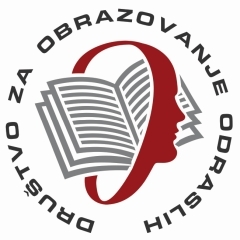 Priority motive for publication were needs of potential FBE beneficiaries and results of the analysis of education system in Serbia, while the aim of the publication was contribution to the current national strategies, reform processes and, generally, development of Serbia in line with the European direction – chiefly in terms od adult education reform. Authors: Snežana Medić, Katarina Popović, Miomir Despotović, Mirjana Milanović. The publication is available in Serbian and in English language. With the National, and with common – Regional Report on the Development and State of the Art of Adult Learning and Education in South East Europe, countries of our region joined and presented on VI Confintea conference in Belém, in May 2009, thus participated in creation of Belém Framework of Action. Before the conference the Report was presented on CONFINTEA Paneuropean preparatory conference in Budapest in December 2008. National report authors: Snežana Medić, Katarina Popović, Mirjana Milanović. 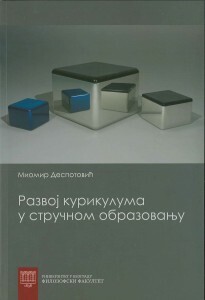 Publisher: Adult Education Society, Belgrade, 2009. Report is available in Serbian and in English language. Regional report authors: Anelia Dimitrova, Katarina Popović and Snežana Medić. Publisher: DVV International, Bonn, 2009. 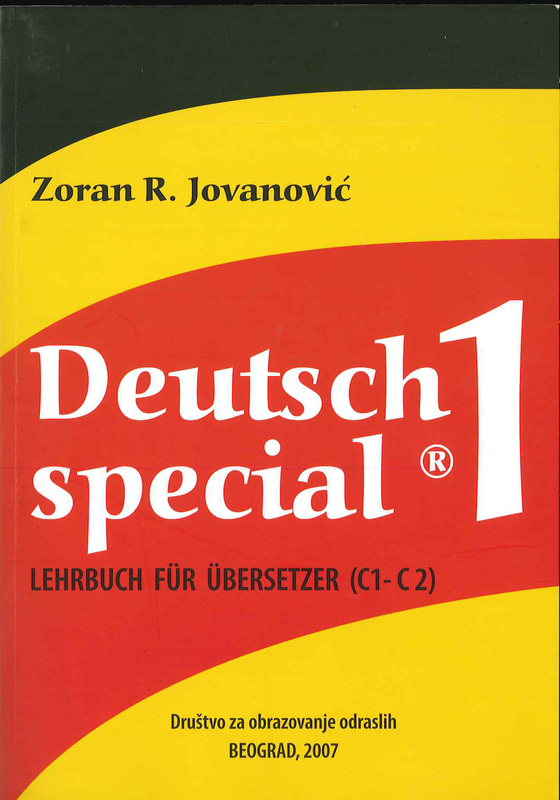 Deutsch special 1® was first of all designed for the young ones, for graduated students of Deutsch special 1German languages one-year post-graduate specialization seminar attendees, which is being held within the Translation School Association of Scientific and Technical Translators of Serbia in Belgrade. This specific manual is designed for the training of adults with already solid knowledge of the German language. According to the European language classification it responds to the category C1 – C2, therefor to the highest level of linguistic ability. Author: Zoran R. Jovanović. Belgrade, 2007. The book “Through Education to Recreation” was the comprehensive overview of the meeting point between recreation and education. The author from the historical angle explains existing theories and practice in that field of education. Primarily the book is intended for students, but also for all professional who recognize usefulness of interconnection between education and recreation. Author: Bojan Lazarević. Belgrade, 2007. 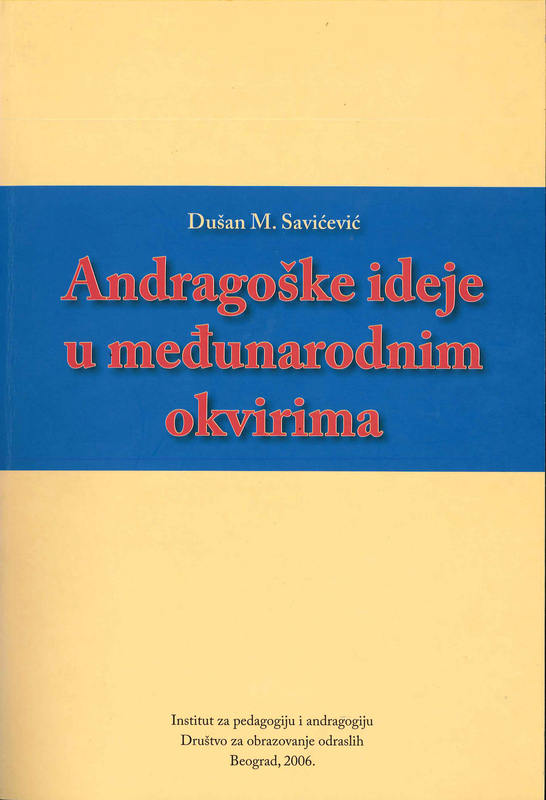 This book “Andragogical Ideas in International Framework” belongs to the field of comparative andragogy and has the following structure: Introduction, First contacts with foreign andragogical experience, Stay in the USA, Visit to Canada, Stay in the Great Britain, International non-governmental organizations for adult education, Cooperation with the UNESCO, Activities in the OECD, Return to the USA, Activities in the Council of Europe, On the Asian continent, Introduction to the African experience, Andragogical trends in the Latin America, Efforts in creating a Belgrade school of Andragogy, Final considerations. Author: Dušan M. Savićević. Belgrade, 2006.